Mercury is the closest planet to the sun in our solar system. It is smaller in size and very hot as compared to other planets but its size is comparable to Earth’s Moon. 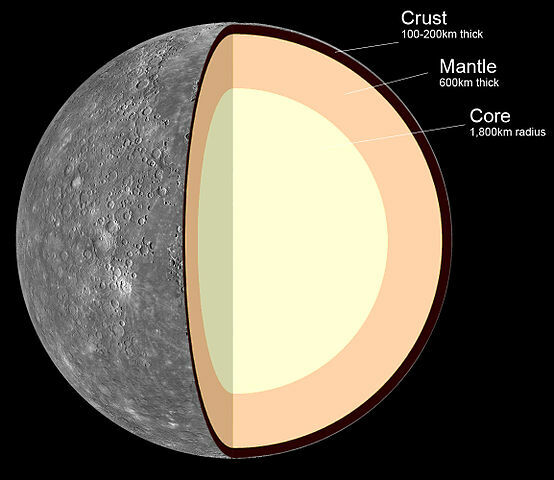 Mercury has an iron core, which is very larger than other rocky planets that makes mercury’s mass heavy as compared to its size. Mercury rotates very slowly on its own axis, which makes a single day on the Mercury almost equals to 58.7 Earth days but its year is much shorter, it takes 88 Earth days to complete one revolution around the Sun. It has almost no atmosphere because it is too close to the Sun, which constantly bombards it with solar winds. Long days make its temperature super cold to very high. The side that face towards the Sun has temperature around 427 C and the side behind has temperature around -149 C. This very cold temperature occur due lack of atmosphere. The surface of Mercury is rocky and covered with craters similar to our Moon. 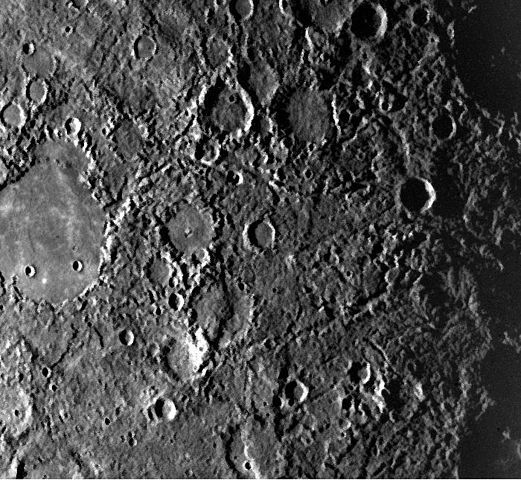 MESSENGER spacecraft discovered some unique geographical features that are not found on our Moon. 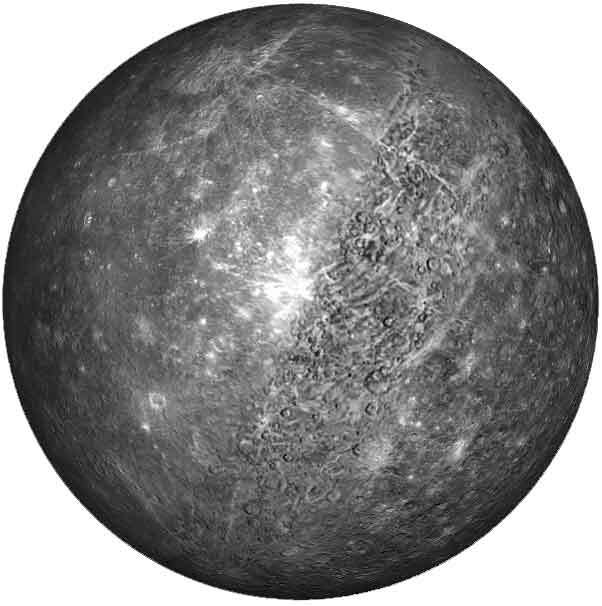 Mercury has an iron core which covers 42% of its volume. Its Iron core covers larger portion of its volume as compared to earth’s 17%. The core is covered by 600 Km thick layer of mantle, which is covered by 100 to 200 Km thickness of crust. Overall Mercury is made-up of 70% metals mostly iron and 30% silicates. Evidences suggest that mercury was known to civilization of around 3000 B.C, but it was first observed by Galileo in 1600s. 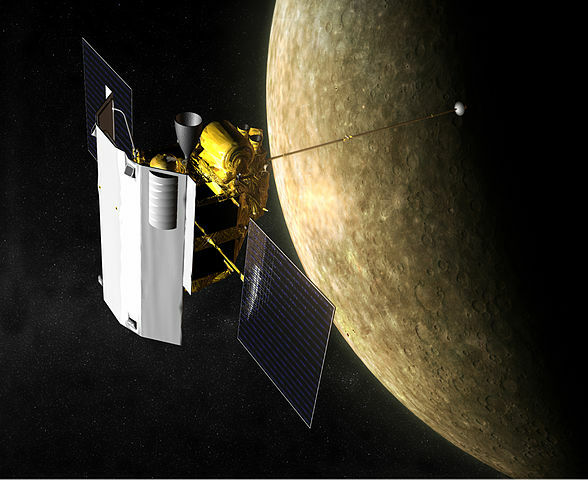 Exploring mercury with space probes is quite challenging because it is too close sun. The gravity of the Sun constantly pulls the probe, so they need a lot of energy to maintain its orbit around mercury. 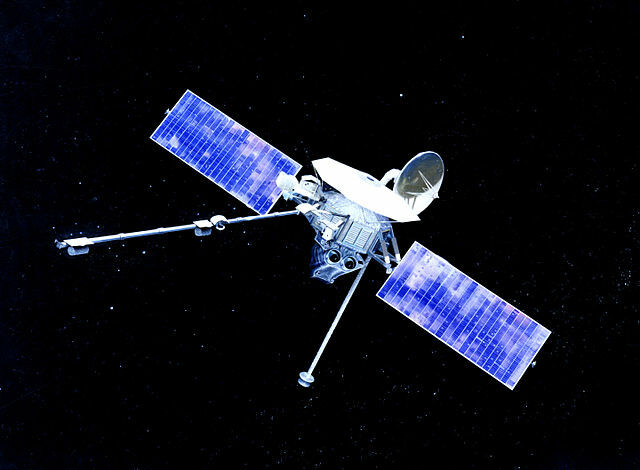 Two space probes have been sent to mercury, the first was mariner 10 sent in 1975 and second was MESSENGER (2008-2009). Abdul Wahab, "Mercury," in Science4Fun, April 13, 2019, http://science4fun.info/mercury/.